q AMAT-GARCIA G.D., BLANCO-VARGAS E. & REYES-CASTILLO P. (2004) Lista de especies de los escarabajos pasalidos (Coleoptera: Passalidae) de Colombia. Biota Colombiana 5(2) 173-182.
q ANDERSON R.S. & ASHE J. S. (2000) Leaf litter inhabiting beetles as surrogates for establishing priorities for conservation of selected tropical montane cloud forests in Honduras, Central America (Coleoptera: Staphylinidae, Curculionidae). Biodiversity and Conservation, 9: 617-653.
q ANGUS R.B., WILSON C.J. & MANN D.J. (2007) A chromosomal analysis of 15 species of Gymnpleurini, Scarabaeini and Coprini (Coleoptera: Scarabaeidae). Tijdschrift voor Entomologie 150:201-211.
q ARCE-PEREZ R. & MORON M.A. (2005) New species and new records of species of Macrodactylus Dejean (Coleoptera: Scarabaeidae: Melolonthinae: Macrodactyini) from Honduras and Nicaragua. Zootaxa 1012: 23-37.
q ARNETT R. H., Jr. (xxxx) False Blister Beetles, (Insecta: Coleoptera: Oedemeridae). University of Florida, IFAS Extensión, 7pp. q BARRERA J. F. (2005) Situación Actual y Perspectivas de la Investigación y Manejo de la Broca del Café en Costa Rica, Cuba, Guatemala y México. Simposio, 79pp. q BARRY C. (2007) Mood Bugs. Beetle changes color in fluid fashion. Science News. 172: pp99. q BASELGA A. & NOVOA F. (2004) Coleopteros del Parque Natural de las Fragas del Eume (Galicia, noroeste de la Peninsula Iberica), II: Scarabaeoidea, Buprestoidea, Byrrhoidea, Elateroidea, Bostrichoidea, Lymexyloidea, Cleroidea, Cucujoidea, Tenebrionoidea, Chrysomeloidea y Curculionoidea. Boln. Asoc. Esp. Ent., 28(1-2): 121-143.
q BENETTI C.J., REGIL CUETO J.A. & GARRIDO GONZALEZ J. (2003) Estudio faunistico de Hydradephaga (Coleoptera: Dytiscidae,Gyrinidae, Haliplidae, Noteridae) En el Municipio de Gramado, sur de Brasil. Bol, SEA, 32:37-44.
q BERRY A. & BROWNE J. (2008) The other beetle- hunter. Thanks to a fateful letter, the theory of evolution by natural selection was unveiled 150 years ago this week. Andrew Berry and Janet Browne celebrate the letter´s writer, Alfred Russel Wallace. Nature, 453: 1188-1190.
q BONAL R. & MUÑOZ A. (2008) Seed growth suppression constrains the growth of seed parasites: premature corn abscission reduces Curculio elephas larval size. Ecological Entomology 33:31-36.
q BRICEÑO VERGARA A.J. & RAMIREZ W. (2000) Diagnostico de insectos Coleoptera asociados a las plantaciones de plátano en el sur del Lago de Maracaibo-Venezuela. Rev. Forest.Venez. 44(1):93-99.
q BROWNE J. & SCHOLTZ C.H. (1998) Evolution of the scarab hindwing articulation and wing base: a contribution toward the phylogeny of the Scarabaeoidea: Coleoptera). 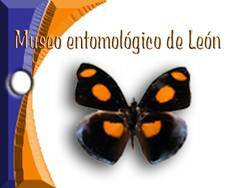 Systematic Entomology, 23: 307-326.
q BUSTOS-GOMEZ LIDA F. & LOPERA TORO A. (2003) Preferencia por cebo de los escarabajos coprofagos (Coleoptera: Scarabaeidae:Scarabaeinae) de un remanente de bosque seco tropical al norte de Tolima (Colombia). m3m: Monografias Tercer Milenio vol. 3, SEA, Zaragoza, pp.:59-65. q CANHEDO V.L. (2004) Novas especies do genero Anomiopus, grupo smaragdinus (Coleoptera, Scarabaeidae). Museu de Ciencias Naturais, Fundacao Zoobotanica do Rio Grande do Sul, Caixa Postal 1188, 90001-970, Porto Alegre, RS, Brasil. 18pp. q CASTAÑEDA-VILDOZOLA A., VALDEZ-CARRASCO J., EQUIHUA-MARTINEZ A., GONZALEZ-HERNANDEZ H., ROMERO-NAPOLES J., SOLIS-AGUILAR J.F. & RAMIREZ-ALARCON S. (2007) Genitalia de tres especies de Heilipus Germar (Coleoptera: Curculionidae) que dañan frutos de aguacate (Persea americana Mill) en Mexico y Costa Rica. Neotropical Entomology 36(6):914-918.
q CASTRO-RAMIREZ A.E., CRUZ-LOPEZ J.A., RAMIREZ-SALINAS C., PERALES RIVERA H. & GOMEZ M. J.A. (2003) Manejo de la “Gallina Ciega” (Coleoptera: Melolonthidae) con trampas de luz en Chiapas, Mexico. Monografias Tercer Milenio 3: 81-86.
q CHABOO C.S., BROWN C.G. & FUNK D.J. (2008) Faecal case architecture in the gibbosus species group of Neochlamisus Karren, 1972 (Coleoptera: Chrysomelidae: Cryptocephalinae: Chlamisini) Zoological Journal of the Linnean Society, 152:315-351.
q CHAMORRO-LACAYO M.L. & KONSTANTINOV A. (2004) Morphiology of the prothorax and procoxa in the New World Cryptocephalini (Coleoptera: Chrysomelidae: Cryptocephalinae). Zootaxa 676:1-46.
q Chapin E.A. (1930) Canthonella, a new Genus of Scarabaeidae (Coleoptera). American Museum Novitates, 409:2 pp. o No. 35 Apr. 1998.
o No. 45 Dec. 2005.
o No. 48 Jun. 2007.
o No. 49 Dec. 2007.
q CLARK S.M., OLSEN A.B. & GOODMAN M.H. (2008) The subfamily Donaciinae in Utah (Insecta: Coleoptera: Chrysomelidae). Monographs of the Western North American Naturalist, 4:1-37.
q COSTA J. T., FITZGERALD T. D., PESCADOR-RUBIO A., MAYS J. & JANZEN D. H. (2004) Social Behavior of Larvae of the Neotropical Processionary Weevil Phelypera distigma (Boheman) (Coleoptera: Curculionidae: Hyperinae). Ethology, 110: 515-530.
q CUIGNET M., HANCE T. & WINDSOR D.M. (2007) Phylogenetic relationships of egg parasitoids (Hymenoptera: Eulophidae) and correlated life history characteristics of their Neotropical Cassidinae hosts (Coleoptera, Chryomelidae). Molcular Phylogenetics and Evolution 42:573-584.
o Vol. 50 march. 2005.
o Vol. 51 sept. 2005.
o Vol. 52 march. 2006.
o Vol. 53 sept. 2006.
o Vol. 54 june 2007.
q DEGALLIER N. & GOMY Y. (2007) Malformations et cas tératologiques chez les Coléoptères Histeridae. Le Coléoptériste, 10(1) : 15-18.
q DELGADO L. & NAVARRETE-HEREDIA J.L. (2004) Ceraspis jaliscoensis, a new species from Mexico (Coleoptera: Scarabaeidae: Melolonthinae). Zootaxa 787:1-7.
q DELGADO L. & MARQUEZ J. (2006) Estado del Conocimiento y Conservación de los Coleopteros Scarabaeiodea (Insecta) del Estado de Hidalgo, México. Acta Zoologica Mexicana (nueva serie) 22(002):57-108.
q DELOYA C. (2005) Omorgus rodriguezae Especie Nueva de Mexico y Clave para separar las Especies del Genero Para Centro y Norteamerica (Coleoptera: Trogidae). Folia Entomol. Mex., 44 (supl. 1): 121-129.
q DELOYA C., PARRA-TABLA V. & DELFIN-GONZALEZ H. (2007) Ecology, Behavior and Bionomics. Fauna de Coleopteros Scarabaeidae Laparosticti y Trogidae (Coleoptera: Scarabaeoidea) Asociados al Bosque Mesofilo de Montaña, Cafetales bajo Sombra y Comunidades Derivadas en el Centro de Veracruz, Mexico. Neotropical Entomology 36(1):005-021.
q DI IORIO O. (1998) Redescriptions, new combinations, synonymies, and new records of South American Lepturini (Coleoptera: Cerambycidae: Lepturinae). Insecta Mundi 12(1-2): 139-148.
q DRUMONT A. & VIVES E. (xxxx) Contribution á l’étude des Megopis Serville, 1832, de Nouvelle-Calédonie avec la description d’une nouvelle espèce Megopis kudrnai n.sp. (Coleoptera, Cerambycidae, Prioninae). Les cahiers Magellanes, 67 :1-15.
q EMLEN D.J. & PHILIPS T.K. (2006) Phylogenetic Evidence for an Association between tunneling behavior and the evolution of Horns in Dung Beetles (Coleoptera: Scarabaeidae: Scarabaeinae). Coleopterists Society Monograph, 5:47-56.
q EPLER J.H. (1996) Identification Manual for the Watewr Beetles of Florida (Coleoptera: Dryopidae, Dytiscidae, Elmidae, Gyrinidae, Haliplidae, Hydraenidae, Hydropilidae, Noteridae, Psephenidae, Ptilodactylidae,Scirtidae) State of Florida Department of Environmental protection Division of Water Facilities Tallahassee, 259pp. q ERROUISSI F., JAY-ROBERT P., LUMARET J.-P. & PIAU O. (2004) Composition and structure of Dung Beetle (Coleoptera : Aphodiidae, Geotrupidae, Scarabaeidae) assamblages in mountain grasslands of the Southern Alps. Ann. Entomol. Soc. Am., 97(4):701-709.
q ERWIN T.L. (2004) The beetle family Carabidae of Costa Rica: The genus Epikastea Liebke of the Plochonida Group, with new Neotropical species and notes on their way of life (Insecta: Coleoptera, Lebiini, Agrina). Zootaxa 790: 1-20.
q ERWIN T.L. & MOORE W. (2007) Taxonomic review of the Neotropical genus Moriosomus Motschulsky (Insecta: Coleoptera, Carabidae, Morionini) with notes on the way of life of the species. Zootaxa 1438: 49-63.
q ESPELTA J.M., CORTES P., MOLOWNY R., SANCHEZ-HUMANES B. & RETANA J. (2007) Masting mediated by summer drought reduces acorn predation in mediterranean oak forest. Ecology, 13 pp. q EVANS A.V. & SMITH A.B.T. (2007) An elctronic checklist of the new world Chafers (Coleoptera: Scarabaeidae: Melolontinae).Version 2, 349pp. (Cita Nicaragua). q FALL (2006) General Entomology EEB 286. University of Connecticut. 2pp. q FIERROS-LOPEZ H.E. (2005) Revision del Genero Scaphidium Olivier, 1790 (Coleoptera: Staphylinidae) de Mexico y Centroamerica. Dugesiana 12(2):1-152.
q FIERROS-LOPEZ H.E. (2006) Datos nuevos de distribucion de algunas especies de Scaphidiinae Neotropicales (Coleoptera: Staphylinidae)/ Dugesiana 13(1):39-43.
q FITZGERALD T.D., PESCADOR-RUBIO A., TURNA M.T. & COSTA J.T. (2004) Trail Marking and Processionary Behavior of the Larvae of the Weevil Phelipera distigma (Coleoptera: Curculionidae). Journal of Insect Behavior,17(5):627-646.
q FLOWERS R.W. & EBERHARD W.G. (2005) Fitting together: copulatory linking in some Neotropical Chrysomeloidea. Rev. Biol. Trop.  (Int. J. Trop. Biol. Vol. 54(3):829-842,September 2006.
q FLOWERS R.W. & EBERHARD W.G. (2006) Fitting together: copulatory linking in some Neotropical Chrysomeloidea. Rev. Biol. Trop., 54(3):829-842.
q FORSHAGE M. (2002) State of Knowledge of Dung Beetle Phylogeny. A review of phylogenetic hypotheses regarding Aphodiinae (Coleoptera: Scarabaeidae). Uppsala Universitet, 51pp. q FRANZ N.M. (2005) Book review. Sforzi A. & Bartolozzi l. 2004 Brentidae of the World (Coleoptera: Curculionoidea). Insecta Mundi, 19(1-2):1-2.
q FROLOV A.V. & SCHOLTZ C.H. (2003) Revision of the Afrotropical dung beetle genus Sarophorus Erichson (Coleoptera: Scarabaeidae). African Entomology 11(2): 183-198.
q FURTH D.G. (2006) The current status of knowledge of the Alticinae of Mexico (Coleoptera: Chrysomelidae). Bonner zoologische Beitrage, 54(4):209-237. (Cita Nicaragua). q GAMEZ J., MORA E. & ACCONCIA R. (2006) Informaciones ecologicas sobre Coprophanaeus (Coprophanaeus) telamon nevinsoni Arnaud & Gamez (Coleoptra: Scarabaeinae: Phanaeine) En Un Sector de la Selva Humeda Submontana En Merida, Venezuela. Acta Zoologica Mexicana (n.s.) 22(3):95-105.
q GARRIDO O.H. & GUTIERREZ E. (1994) Variability of Zophobas rugipes Kirsch (Coleoptera: Tenebrionidae: Tenebrioninii) in Cuba. Insecta Mundi, 8(3-4): 243-247.
q Gidaspow T. (1963) The Genus Calosoma in Central America, the Antilles, and South America (Coleoptera, Carabidae). Bulletin of the American Museum of Natural History, 124(7):275-314, plates 1-2.
q GOMEZ-ZURITA J., JOLIVET P. & VOGLER A. P. (2005) Molecular systematics of Eumolpinae and the relationships with Spilopyrinae (Coleoptera, Chrysomelidae). Molecular Phylogenetics and Evolution, 34: 584-600.
q GOMEZ-ZURITA J., FUNK D.J. & VOGLER A.P. (2006) The Evolution of Unisexuality in Calligrapha Leaf Beetles: Molecular and Ecological Insights on Multiple Origins Via Interspecific Hybridization. Evolution 60(2):328-347.
q GOMEZ-ZURITA J., HUNT T., KOPLIKU F. & VOGLER A.P. (2007) Recalibrated Tree of Leaf Beetles (Chrysomelidae) Indicates Independent Diversification of Angiosperms and Their Insect Herbivores. PLoS ONE 2(4):1-8.
q GOMEZ-ZURITA J., CARDOSO A., CORONADO I., De la CADENA G., JURADO-RIVERA J.A., MAES J.M., MONTELONGO T., NGUYEN D.T. & PAPADOPOULOU A. (2016) High-throughput Biodiversity analysis: Rapid assessment of species richness and ecological interactions of Chrysomelidae (Coleoptera) in the tropics. ZooKeys, 597:3-26.
q GONZALEZ-VAINER P., MORELLI E. & CANZIANI C. (2003) Biologia y estados inmaduros de Ataenius perforatus Harold, 1867 (Coleoptera:Scarabaeidae: Aphodiinae). Monografias Tercer Milenio 3:67-74.
q GORDON R. (2007) An unecessary generic name in Exoplectrini (Coleoptera: Coccinellidae). Insecta Mundi, 10:1.
q HARVEY C..A., GONZALEZ J. & SOMARRIBA E. (2006) Dung beetle and terrestrial mammal diversity in forests, indigenous agroforestry systems and plantain monocultures in Talamanca, Costa Rica. Biodiversity and Conservation 15:555-585.
q HERRON J. C. (1953) Biology of the Sweet Clover Weevil And notes on the Biology of the Clover Root Curculio. The Ohio Journal of Science, 53(2): 105-112.
q HOVORE F.T. (1989) Records And Descriptions of Costa Rican Cerambycidae, Part 1 : the Turrialba Valley. Museun, Univewrsity of Nebraska State, Insecta Mundi, 3(4): 248-260.
q Hovore F.T. (2002) Longhorned wood-boring beetles (Cerambycidae: Coleoptera) of Costa Rica. An annotated species list. 26 pp. q HOVORE F.T. (2003) Lista del Cerambycidae de Ecuador (ECU) compilado por F.T. Hovore, 2003 (extractado de la Lista Electronica del Cerambycidae de el Hemisferio Occidentale, por Monne y el Hovore, 2003, disponible libre de: www.honore.com), 48pp. q HUNT T., BERGSTEN J.,LEVKAMICOVA Z., PAPADOPOULOU A., JOHN O.St., WILD R., HAMMOND P.M., AHRENS D., BALKE M., CATERINO M.S., GOMEZ-ZURITA J., RIBERA I., BARRACLOUGH T.G., BOCAKOVA M., BOCAK L. & VOGLER A.P. (2007) A Comprenhensive Phylogeny of Beetles Reveals the Evolutionary Origins of a Superradiation. Science 318:1912-1916.
q HUNT T., BERGSTEN J.,LEVKAMICOVA Z., PAPADOPOULOU A., JOHN O.St., WILD R., HAMMOND P.M., AHRENS D., BALKE M., CATERINO M.S., GOMEZ-ZURITA J., RIBERA I., BARRACLOUGH T.G., BOCAKOVA M., BOCAK L. & VOGLER A.P. (2007) A Comprenhensive Phylogeny of Beetles Reveals the Evolutionary Origins of a Super-radiation. Science 318, 78pp. q IVIE M. A. & SCHWENGEL-REGALA M. L. (2007) The Elaphidion Audinet-Serville of the Puerto Rican Bank: new species, distributions, taxonomics corrections, and a key to species (Coleoptera: Cerambycidae: Elaphidiini). Zootaxa, 1503: 55-68.
q JACH M.A. (2006) Short Note. Taxonomy and Nomenclature threatened by D. Makhan. Koleopterologische Rundschau, 76:360 Wien, Juli 2006.
q JAMESON M.L. (2002) A new species of Viridimicrus Jameson from Honduras (Scarabaeidae: Rutelinae). Col. Bull., 53(2):167-174. (Cita Nicaragua). q JAMESON M.L. (2008) Review of the genus Microchilus Blanchard (Coleoptera: Scarabaeidae: Rutelinae: Geniathini). Insecta Mundi, 25:1-14.
q JIMENEZ MARTINEZ E., ALFARO ESPINOZA J.A., LAZO URRUTIA J.N. & ZELAYA OBREGON M. (xxxx) Identificacion y fluctuación poblacional de depredadores de (Dendroctonus frontalis Zimm) y otros descortezadores de pino en Nueva Segovia. Protección Vegetal, Universidad Nacional Agraria, Managua, Nicaragua, 6pp. q JIMENEZ MARTINEZ E., LOPEZ ZELEDON L.B., TOLEDO MARIN L.I. & ZELAYA OBREGON M. (xxxx) Dinamica poblacional e identificacion de (Dendroctonus frontalis Zimm) y otros descortezadores de pino en Nueva Segovia. La Calera, Protección Vegetal, Universidad Nacional Agraria. 6pp. q JOHNSON P.J. (2000) New Species and records of Platycrepidius candeze from Costa Rica and Panama (Coleoptera: Elateridae). The Coleopterists Bulletin 54(3):284-290.
q JOHNSON S.D., ELLIS A. & DOTTERL S. (2007) Specialization for Pollination by Beetles and Wasps: The role of Lollipop Hair and Fragance in Satyrium microrrhynchum (Orchidaceae). American Journal of Botany, 94(1):47-55.
q JOLIVET P. & MAES J.M. (1996) Un cas de cycloalexie chez un Curculionide : Phelypera distigma (Boheman) (Hyperinae) au Nicaragua. L'Entomologiste, 52(3):97-100.
q JOLIVET P. (2007) Brachelytry. Alpha, 6pp. q JOLIVET P., VERMA K.K. & MILLE C. (2007) New Species of Dematochroma from Lord Howe and Norfolk Islands (Coleoptera, Chrysomelidae, Eumolpinae). Nouv. Revue Ent. ( N.S. ), 23(4):327-332.
q JOLIVET P., VERMA K. K. & MILLE C. (2007) New genera and species of Eumolpinae from New Caledonia (Coleoptera, Chrysomelidae).Revue Française d´Entomologie (N.S. ), 29(2-3): 77-92.
q JOLIVET P. & POINAR G. (2007) Parasites, commensals and phoretics of Timarcha (Coleoptera: Chrysomelidae). Genus, 18(4):589-596.
q JOLIVET P. & VERMA K. K. (2008) Eumolpinae- a widely distributed and much diversified subfamily of leaf beetles (Coleoptera, Chrysomelidae). Terrestrial Arthropod Reviews, 1: 3-37.
q JOLIVET P. (2008) Timarcha Latreille (Coleoptera: Chrysomelidae, Chrysomelinae). Capinera J.L. Ed. Encyclopedia of Entomology, Springer Edition. 6 pp. q JOLIVET P. (2008) Sweetpotato Flea Beetle, Chaetocnema confinis (Coleoptera: Chrysomelidae: Alticinae). Capinera J.L. Ed. Encyclopedia of Entomology, Springer Edition. 4 pp. q JOLY L.J. (2003) Cyclocephala minuchae, nueva especie de Venezuela y redescripción de C. vincentiae Arrow (Coleoptera: Scarabaeidae: Dynastinae: Cyclocephalini). Entomotropica 18(1):37-47.
q JOLY L. J. (2005) Una nueva especie de Cyclocephala Latreille de la Amazonia Venezolana (Coleoptera, Scarabaeidae, Dynastinae, Cyclocephalini). Entomotropica 20(1):1-5.
q KATOVICH K. (2008) A generic-level phylogenetic review of the Macrodactylini (Coleoptera: Sacrabaeidae: Melolonthinae). Insecta Mundi A Journal of World Insect Systematics. 23:1-78 (Cita Nicaragua). q KOHLMANN B. & MORON M.A. (2003) ANALISIS HISTORICO DE LA CLASIFICACION DE LOS Coleoptera Scarabaeoidea o Lamellicornia. Acta Zoologica Mexicana (n.s. ), 90: 175-280.
q KOHLMANN B., SOLIS A., ELLE O., SOTO X., RUSSO R. (2007) Biodiversity, conservation, and hotspot atlas of Costa Rica: a dung beetle perspective (Coleoptera: Scarabaeidae: Scarabaeinae). Zootaxa 1457: 1-34.
q KÖLSCH G. & PEDERSEN B. V. (2008) Molecular phylogeny of reed beetles (Col., Chrysomelidae, Donaciinae): The signature of ecological specialization and geographical isolation. Molecular Phylogenetics and Evolution. 48: 936-952.
q KRELL F.T. (2000) The fossil of Mesozoic and Tertiary Scarabaeoidea (Coleoptera: Polyphaga) Invertebrate Taxonomy, 14:871-905.
q KRELL F.T., BALLERIO A., SMITH A.B.T. & AUDISIO P. (2006) Case 3349. Gnorimus Le Peletier de Saint-Fargeau & Serville, 1828 and Osmoderma Le Peletier de Saint-Fargeau & Serville, 1828 (Insecta, Coleoptera): proposed conservation of the generic names. Bulletin of Zoological Nomenclature, 63(3):177-183.
q LA RUE D. A. (1998) Notes on Polyphylla Harris with a description of a new species. (Coleoptera: Scarabaeidae: Melolonthinae). Insecta Mundi, 12(1-2): 23-37. [cita Nicaragua]. q LÁSZLÓ Á. (1997) Bogarak Kerecsendrõl (Coleoptera: Staphylinidae; Scarabaeoidea). Folia Historico Naturalia Musei Matraensis, 22: 257-264.
q Liebherr J.K. (1992) Phylogeny and revision of the Platynus degallieri species group (Coleoptera: Carabidae: Platynini). Bulletin of the American Museum of Natural History, 214:115 pp., 5 plates. q MAES J.M. (1992) El extraño mundo de los insectos. El gorgojo del pino. Nuevo Diario, 8-x-92, 1 p.
q MAES J.M. (1992) El extraño mundo de los insectos. Mariquitas, devoradoras de pulgones. Nuevo Diario, 22-x-92, 1 p.
q MAES J.M. (1992) El extraño mundo de los insectos. ¿Quien gano con los insecticidas? El picudo y la caida del algodonero. Nuevo Diario, 30-x-92, 1 p.
q MAES J.M. (1993) El extraño mundo de los insectos. Los Carabidae, depredadores de gusanos. Nuevo Diario, 5-ii-93, 1 p.
q MAES J.M. (1993) El extraño mundo de los insectos. Khepri el escarabajo sagrado de los egipcios. Nuevo Diario, 23-iv-93, 1 p.
q MAES J.M. (1993) Reporte de nuevas especies de Phyllophaga (Coleoptera: Scarabaeidae: Melolonthinae) en Nicaragua. Boletin Informativo MIP, CATIE, Costa Rica, N°28, p.5. q MAES J.M. (1993) El extraño mundo de los insectos. La gallina ciega. Nuevo Diario, 29-vii-93, 1 p.
q MAES J.M. (1994) El extraño mundo de los insectos. Los picudos en Nicaragua. Nuevo Diario, 5-vi-94, 1 p.
q MAES J.M. (1995) Ficha "Insectos plagas" N°4. Crisomélido del frijol. Revista Productores, ii-94, 40:2 pp. q MAES J.M. (1995) Ficha "Insectos plagas" N°9. El gorgojo del arroz. Revista Productores, viii-95, 45:45-46.
q MAES J.M. (1999) Insectos de Nicaragua. Volumen II. Setab BOSAWAS, MARENA, Managua, Nicaragua. Part Bostrichoidea, pp.735-746. q MAES J.M. & NAVARRETE-HEREDIA J.L. (2002) Silphidae (Coleoptera) de Nicaragua. Dugesiana, 9(1):1-4.
q MAES J.M. (2003) Maternal care in the Cassidines. Chrysomela, 42:1 pp. q MARQUEZ J. & ASIAIN J. (2002) Eulissus chalybaeus Mannerheim, 1830 (Coleoptera: Staphylinidae: Xantholinini). Dugesiana, 9(2):67-68.
q MARSHALL G. A. K., C.M.G., D. Sc. (xxxx) Some Injurious Neotropícal Weevils (Curculionidae). (Plates I &II.) Subfamily Otiorrhynchinae. Genus Apodrosus, nov. 13pp. q Martínez C. (2000) Escarabajos Longicornios (Coleoptera: Cerambycidae) de Colombia. Biota Colombiana, 1(1):76-105.
q MARTINEZ C. (2005) Introducción a los escarabajos Carabidae (Coleoptera) de Colombia. Instituto de Investigación de Recursos Biológicos Alexander von Humboldt, Colombia, 546 pp. (Cita Nicaragua). q McHUGH J.V. (1990) Carinisphindus, a new genus and three new species of Neotropical Sphindidae (Coleoptera: Clavicornia). The Coleopterists Bulletin, 44(3):307-322.
q McKENNA D.D. & FARRELL B.D. (2005) Molecular phylogenetics and evolution of host plant use in the Neotropical rolled leaf “hispine” beetle genus Cephaloleia (Chevrolat) (Chrysomelidae: Cassidinae). Molecular Phylogenetics and Evolution 37: 117-131.
q McKENNA D.D. & FARRELL B.D. (2006) Tropical forests are both evolutionary cradles and museums of leaf beetle diversity. PNAS, 103(29):10947-10951.
q MEDINA C.A., LOPERA-TORO A., VITOLO A. & GILL B. (2001) Escarabajos Coprofagos (Coleoptera: Scarabaeidae: Scarabaeinae) de Colombia. Biota Colombiana 2(2):131-144.
q MENDES J. & LINHARES A.X. (2006) Coleoptera Associated with Undisturbed Cow Pats in Pastures in Southeastern Brazil. Ecology, Behavior and Bionomics, Nov-Dec. 715-723pp. q MESA A., FERREIRA A. & MARTINS V (1978) The chromosomes of an Australian Passalid, Aulacocyclus edentulus MacL. (Coleoptera, Passalidae, Aulacocyclinae). J. Aust. Ent. Soc., 17:385-388.
q MESKENS C., WINDSOR D. & HANCE T. (2008) A comparison of hispine beetles (Coleoptera: Chrysomelidae) associated with three orders of monocot host plants in Iowland Panama. International Journal of Tropical Insect Science, 27(3-4):159-171.
q MONAGHAN M.T., INWARD D.J.G., HUNT T. & VOGLER A.P. (2007) A molecular phylogenetic analylsis of the Scarabaeinae (dung beetles). Molecular Phylogenetics and Evolution, 19pp. q MONNE M.A. & HOVORE F.T. (2003) Checklist of the Cerambycidae and Disteniidae (Coleoptera) of the Western Hemisphere. Part Three: Bibliography.,79pp. q MOORE M.R. (2007) Key to Adult Males and Females of the Genus Megasoma (Scarabaeidae: Dynastynae) (female of M.lecontei unknown).,7pp. q MORON RIOS M.A. & SOLIS A. (2001) Seven New Species of Phyllophaga (s.str.) Harris From Costa Rica (Coleoptera: Melolonthidae: Melolonthinae). The Coleopterists Bulletin, 55(1):11-29.
q MORON RIOS M.A. (2003) Las especies de Phylophaga (s.str.) del Grupo Rugipennis (Coleoptera: Melolonthidae) Monografias Tercer Milenio 3: 19-34.
q MORON RIOS M.A., REYES-CASTILLO P. & DELOYA C. (2003) Catalogo de Autoridades Taxonomicas de Coleoptera. Instituto de Ecologia, AC., Xalapa, Mexico. Base de datos SNIB-CONABIO, proyecto V005.,120pp. q NAVARRETE-HEREDIA J.L. & DELOYA C. (2005) Comentarios sobre algunas especies de Aphodiinae (Coleoptera: Scarabaeidae) de Jalisco, Mexico. Dugesiana 12(1): 19-21.
q NAVARRETE-HEREDIA J.L. & ZARAGOZA-CABALLERO S. (2006) Diversidad de los Staphylinoidea de Mexico: Analisis de grupos selectos (Hydraenidae, Agyrtidae, Silphidae y Staphylinidae). Dugesiana 13(2):53-65.
q NEARNS E.H. (2008) Description of the male of Plectromerus michelii Nearns and Branham, 2008 (Coleoptera: Cerambycidae). Insecta Mundi, 38:1-2.
q NORIEGA ALVARADO J.A. (2002) Aportes a la Biologia del escarabajo Sudamericano Sulcophaneus leander (Waterhouse, 1891) (Coleoptera: Scarabaeidae) Acta Zoologica Mexicana (nueva serie), numero 087: Instituto de Ecologia A.C. Xalapa, Mexico. Acta Zoologica Mexicana (nueva serie), numero 087:67-82.
q NORIEGA ALVARADO J.A. (2002) First Report of the presence of the Genus Digitonthophagus (Coleoptera:Scarabaeidae) in Colombia. Primera observacion sobre la presencia del genero Digitonthophagus (Coleoptera: Scarabaeidae) en Colombia. Caldasia 24(1):213-215.
q NORIEGA ALVARADO J.A., SOLIS C., QUINTERO I., PEREZ L.G., GARCIA H.G. & OSPINO D.A. (2006) Registro Continental de Digitonthophagus gazella (Coleoptera: Scarabaeidae) en Colombia. First report of Digitonthophagus gazella (Coleoptera: Scarabaeidae) in the continental area of Colombia. Notas Breves. Caldasia 28(2):379-381.
q OCHIEL G.S., NJOKA S.W., MAILU .AM. & GITONGA W. (2001) Establishment, Spread and Impact of Neochetina spp. On Water Hyacinth in Lake Victoria, Kenya. Biological and Integrated Control of Water Hyacinth, Eichhornia crassipes, edited by M.H. Julien, M.P. Hill, T.D. Center and Ding Jianqing ACIAR Proceediengs 102:89-95.
q ONORE G., REYES-CASTILLO P. & ZUNINO M. (Comps.) (2003) Escabeidos de Latinoamerica: Estado del conocimiento. S.E.A. Sociedad Entomologica Argentina, m3m Monografias tercer Milenio, Instituto de Ecologia y Biologia Ambiental, 14pp. q OPITZ W. (1997) ) Classification , natural history, and evolution of the Epiphloeinae (Coleoptera: Cleridae). Part I. The genera of Epiphloeinae. Insecta Mundi, 11(1): 51-96.
q OPITZ W. (2006) Classification , natural history, and evolution of the Epiphloeinae (Coleoptera: Cleridae). Part III. The genera Parvochaetus, n. gen., Amboakis, n. gen., Ellipotoma Spinola. Insecta Mundi 20(3-4): 97-164.
q Pallister J.C. (1955) The Ant-like Flower Beetles of North Central Mexico Collected on the David Rockefeller Mexican Expedition of 1947, and other Mexican and Central American Anthicids in the American Museum of Natural History (Coleoptera, Anthicidae). American Museum Novitates, 1720:18 pp. q PATRA B. & BERA S. (2007) Herbivore Damage to Ferns Caused by a Chrysomelid Beetle from Lower Gangetic Plains of West Bengal, India. American Fern Journal 97(1):19-29.
q PAULSEN M.J. (2007) Nomenclatural changes in the Neartic Ochodaeinae and description of two new genera (Coleoptera; Scarabaeoidea: Ochodaeidae). Insecta Mundi, 21:16.
q PEARSON D.L. & CASSOLA F. (2007) Are we doomed to repeat history? A model of the past using tiger beetles (Coleoptera: Cicindelidae) and conservation biology to anticipate the future. J. Insect Conserv.,11:47-59.
q PECK S.B. (2006) The beetle fauna of Dominica, Lesser Antilles (Insecta: Coleoptera): Diversity and distribution. Insecta Mundi Vol. 20(3-4):165-210.
q PERAZA L.N. & DELOYA C. (2006) Una Nueva Especie Mexicana de Dichotomius Hope (Coleoptera: Scarabaeidae) y Clave para la Identificacion de las Especies del Grupo carolinus. Systematics, Morphology And Physiology. Neotropical Entomology 35(5): 629-631.
q PERES FILHO O., TEIXEIRA E.P., BEZERRA M.L.M., DORVAL A. & BERTI FILHO E. (2006) First record of Sinoxylon conigerum Gerstacker (Coleoptera: Bostrichidae) in Brazil. Neotropical Entomology, 35(5):712-713.
q PETERSON A.T. & VIEGLAIS D.A. (2001) Predicting species invasions using ecological niche modeling: new approaches from bioinformatics attack a pressing problem. Bioscience, 363-371.
q PINEDA E., MORENO C., ESCOBAR F. & HALFFTER G. (2005) Frog, Bat, and Dung Beetle Diversity in the Cloud Forest and Coffee Agroecosystems of Veracruz, Mexico. Conservation Biology, 19(2): 400-410.
q PRENA J. (2006) Descriptions of Palliolatrix gen.n. and seven new species from Middle America (Coleoptera: Curculionidae:Baridinae). Zootaxa 1319:15-28.
q PUTHZ V. (2006) On some Stenus species from Latin America (Colepotera: Staphylinidae) (292nd Contribution to the knowledge of Steninae). Dugesiana 13(1): 1-21.
q RAMOS-ELORDUY J. & PINO MORENO J.M. (2004) Los Coleoptera Comestibles de Mexico. Anales del Instituto de Biologia, Universidd Nacional Autonoma de Mexico Serie Zoologia 75(1):149-183.
q RATCLIFFE B.C. (1992) Nine New Species and 11 Country Records of Cyclocephala (Coleoptera:Scarabaeidae:Dynastinae) From Panama and Costa Rica. The Coleopterists Bulletin 46(3):216-235.
q RATCLIFFE B.C. (1998) An Unusual New Unicorn Species of Copris From Nicaragua (Scarabaeidae: Scarabaeinae, Coprini). The Coleopterists Bulletin 52(1):93-96.
q RATCLIFFE B.C. (2002) A checklist of the Scarabaeoidea (Coleoptera) of Panama. Zootaxa, 32: 1-48.
q RATCLIFFE B.C. (2007) A Remarkable New Species of Megaceras from Peru (Scarabeidae: Dynastinae: Oryctini). The “Dim Effect”. Nature Mimicking Art. The Coleopterists Bulletin, 61(3):463-467.
q RATCLIFFE B.C. & CAVE R. D. (2008) The Dynastinae (Coleoptera: Scarabaeidae) of the Bahamas with a description of a new species of Cyclocephala from Great Inagua Island. Insecta Mundi, 0024: 1-10.
q RATCLIFFE B.C. (2008) More New Species of Cyclocephala Dejean, 1821 from South America (Scarabaeidae: Dynastinae: Cyclocephalini). The Coleopterists Bulletin 62(2): 221-241.
q REYES-CASTILLO P. & AMAT-GARCIA G. (2003) Passalidae (Coleoptera de Colombia. Monografias Tercer Milenio, 3:35-50.
q RIBC (2003) Red Internacional sobre la Broca del Café. International Network on Cofee berry borer. Boletin No. 3, 11pp (Cita Nicaragua). q RITCHER P.O. (1967) Keys for Identifying Larvae of Scarabaeoidea to the Family and Subfamily (Coleoptera). Occasional Paper – No.10 Bureau of Entomology, California Department of Agriculture, 8pp. q ROBERTSON J.A., MCHUGH J.V. & WHITING M.F. (2004) A molecular phylogenetic analysis of the pleasing fungus beetles (Coleoptera: Erotylidae): evolution of colour patterns, gregariouness and mycophagy. Systematic Entomology 29:173-187.
q ROMERO J. & JOHNSON C.D. (2004) Zabrotes maesi, a new species from Nicaragua with new distribution records for other bruchids (Coleoptera: Bruchidae: Amblycerinae). The Coleopterists Bulletin, 58(3):379-387.
q ROMERO L., GUTIERREZ L.E. & FLORES N. (2001) Valoracion economica de la afectacion por descortezadores en cuatro comunidades de Jalapa, Nueva Segovia, 1999-2001. La Calera, Ciencias Forestales Universidad Nacional Agraria, 6pp. q SANMARTIN I. & MARTIN-PIERA F. (2000) First phylogenetic analysis of the of the subfamily Pachydeminae (Coleoptera, Scarabaeoidea, Melolonthidae): the Palearctic Pachydeminae. J. Zoolo. Syst. Evol. Research, 41: 2-46.
q Santos-Silva A. (2002) Notas e descricoes em Parandrini (Coleoptera, Cerambycidae, Parandrinae). Iheringia, Ser. Zool., 92(2):29-52.
q SAYLOR L.W. (1939) Revision of the beetles of the Melolonthine subgenus Phytalus of the United Status, 13pp. q SCARABAEUS- A newsletter for those intersted in Scarabaeidae. o No. 1 feb. 1980.
o No. 2 jun. 1980.
o No. 3 nov. 1980.
o No. 4 May. 1981.
o No 5 nov. 1981.
o No. 6 sept. 1982.
o No. 7 march 1983.
o No. 8 jan. 1984.
o No. 9 july 1984.
o No. 10 jan. 1985.
o No. 11 july 1985.
o No. 12 jan. 1986.
o No. 13 july 1986.
o No. 14 jan. 1987.
o No. 15 Oct. 1987.
o No. 16 Jan. 1988.
o No. 17 July 1989.
o No. 1 Dec. 1990.
o No. 2 March 1991.
o No. 3 Aug. 1991.
o No. 4 Oct. 1991.
o No. 5 Dec. 1991.
o No. 6 Apr. 1992.
o No. 7 Nov. 1992.
o No. 8 July 1993.
o No. 9 Oct. 1993.
o No. 10 Jan. 1994.
o No. 11 Aug. 1994.
o No. 12 July 1995.
o No. 13 July 1997.
o No. 14 Oct. 1998.
o No. 15 Nov. 2004.
o No. 16 June 2005.
o No. 17 Nov. 2006.
o No. 18 Dec. 2006.
o No. 19 May 2007.
o No. 20 Aug. 2007.
o No. 21 Sept. 2007.
o No. 22 Nov 2007.
o No. 23 Jan. 2008.
o No. 24 Feb. 2008.
o No. 25 March 2008.
o No. 26 Apr. 2008.
o No. 27 May 2008.
o No. 30 August 2008.
o No. 31 Sept . 2008.
o No. 32 – October 2008. 20 pp. q SCHILTHUIZEN M. (xxxx) Introductory Course to Entomology. Coleoptera (Beetles). Pp. 85-91.
q SCHMIDT A. (1913) Erster Versuch einer Einteilung der exotischen Aphodien in Subgenera und als Anhang einige Neubeschreibungen. Archiv für Naturgeschichte, 79A(11): 117-178; 203-212.
q SEAGO A.E. & WHEELER Q.D. (2004) Two New Species of Aglyptinus Cockerell with Unusual Sexually Dimorphic Antennae and Diffration Gratings (Coleoptera: Leiodidae). The Coleopterists Bulletin 58(2):235-244.
q SEDILES A. & ALVAREZ R. (2001) Determinación preliminar de daños causados por gorgojos descortezadores en bosques de pinos del Municipio de Jalapa, Nueva Segovia, primer trimestre del año 2001. La Calera, Universidad Nacional Agraria, 5pp. q SILVA-FILHO G., BAILEZ O. E. & VIANA-BAILEZ A. M. (2007) Dimorfismo Sexual do Gorgulho-da-Goiaba Conotrachelus psidii Marshall (Coleoptera: Curculionidae). Neotropical Entomology 36(4): 520-524.
q SKELLEY P.E. (2007) Generic limits of the Rhyarni with respect to the genus Termitodius Wasmann, 1894 (Coleoptera: Scarabaeidae: Aphodiinae). Insecta Mundi, 9:12.
q SKELLEY P.E., DELLACASA M., DELLACASA G. & GORDON R.D. (2007) Checklist of the Aphodiini of Mexico, Central and South America (Coleoptera: Scarabaeidae: Aphodiinae). Insecta Mundi. A Journal of World Insect Systematics, 14:16.
q SKILLMAN Jr. F.W. (2007) A new species of Tetraopes Schoenherr (Coleoptera: Cerambycidae) Insecta Mundi. A Journal of World Insect Systematics. 0008, 6pp. q SMITH A.B.T. (2006) A review of the Family-Group Names for the Superfamily Scarabaeoidea (Coleoptera) with Corrections to Nomenclature and a Current Classification. Coleopterists Society Monograph Number 5:144-204.
q SOLIS A. (xxxx) Métodos y técnicas de recolecta para coleópteros Scarabaeoideos. InBio, Costa Rica, 13 pp. q STAINES C.L. Jr. (1989) A Revision of the genus Octotoma (Coleoptera: Chrysomelidae, Hispinae). Insecta Mundi, 3(1): 41-56.
q STAINES C.L. (2007) Key to the Cephaloleia species of Central America and the West Indies. Corrigenda to Staines C.L. 1996, Special Publication No 3 of the Revista de Biologia Tropical., 6pp. q STAINES C.L. (2008) A new species of Cephaloleia Chevrolat, 1837 (Coleoptera: Chrysomelidae: Cassidinae) from Dominica. Insecta Mundi 0030. A Journal of World Insect Systematics, 6pp. q STANGER-HALL K.F., LLOYD J.E. & HILLIS D.M. (2007) Phylogeny of North American fireflies (Coleoptera: Lampyridae): Implications for the evolution of light signals. Molecular Phylogenetics and Evolution, Article in press,17pp. q STEBNICKA Z.T. (2003) Revision and hypothetical phylogenetic analysis of the spscies of the New World genus Ataeniopsis (Coleoptera: Aphodiinae: Eupariini). Eur. J. Entomol. 100: 101-113.
q STEINER W.E. (2003) An immigrant darkling beetle new to Hawaii (Coleoptera: Tenebrionidae). Pp.41-42. En EVENHUIS N.L. & ELDREDGE L.G. (2003) Records of the Hawaii Biological Survey for 2001-2002. Part 2: Notes. Bishop Museum Occasional Papers, 74:78 pp. (Cita Nicaragua). q STROHECKER H.F. (1997) An illustrated descriptive catalogue of the genera Anidrytus Gerstaecker and Epopterus Chevrolat, with descriptions of new species (Coleoptera: Endomychidae). Insecta Mundi, 11(2): 157-188.
q SWIFT I. (2008) A new genus and two new species of Pteroplatini Thomson from Central America (Coleoptera: Cerambycidae). Insecta Mundi, 45:1-9.
q THE COLEOPTERISTS BULLETIN An Internacional Journal Devoted To The Study of Beetles. o Vol 37 No. 3 1983.
o Vol. 39 No. 3 1985.
o Vol 43 No. 2 June 1989.
o Vol. 53 No. 2 1999.
o Vol. 55 No. 4 2001.
q TOLEDO V. H. (2005) Revision Taxonomica del Genero Psyrassa Pascoe (Coleoptera: Cerambycidae). Acta Zoologica Mexicana 21(3):1-64.
q TREMOUILLES E.R., MICHAT M.C. & TORRES L.M. (2005) A synopsis of the South American Hydrovatus (Coleoptera: Dytiscidae: Hydroporinae), with notes on habitat and distribution, and a key to species. Rev. Soc. Entomol. Argent. 64(1-2): 61-69.
q TURNBOW, Jr. R.H., CAVE R.D. KINGSOLVER J.M. (2003) An Annotated Checklist of the Bruchidae of Honduras. Ceiba 44(2): 269-278.
q ULMER B.J., DUNCAN R.E., PRENA J. & PEÑA J.E. (2007) Life History and Larval Morphology of Eurhinus magnificus Gyllenhal (Coleoptera: Curculionidae), a New Weevil to the United States. Neotropical Entomology 36(3):383-390.
q VALENTINE B. D. (1998) A review of Neartic and some related Anthribidae (Coleoptera). Insecta Mundi, 12(3-4): 251-296.
q VERDU J.R., GALANTE E., LUMARET J.-P. & CABRERO-SAÑUDO F.J. (2004) Phylogenetic analysis of Geotrupidae (Coleoptera, Scarabaeoidea) based on larvae. Systematic Entomology, 29:509-523.
q VERMA K.K. & JOLIVET P. (2005) On Phyletic Closeness Between South American and New Caledonian Spilopyrines (Chrysomelidae, Eumolpinae, Tribe Spilopyrini) Bonner Zoologische Beitrage 54(4):297-303.
q VUKUSIC P., HALLAM B. & NOYES J. (2007) Brilliant Whiteness in Ultrathin Beetle Scales. Science 315: 348.
q WESTCOTT R.L., HESPENHEIDE H.A., ATKINSON T.H. & NELSON G.H. (1989) New Country and State Records, and Other Notes for Mexican Buprestidae (Coleoptera). Insecta Mundi, 3(3): 217-232. [cita Nicaragua]. q WESTCOTT R.L. & HESPENHEIDE H.A. (2006) The description of a new species of Agrilus Curtis, with distribtional records, and taxonomic and biological notes for Agrilinae and Trachyinae (Coleoptera: Buprestidae) of Mexico and Central America. Zootaxa 1367: 1-35.
q WHEELER Q.D. & MCHUGH J.V. (1987) A portable and convertible “Moczarski/Tullgren” Extractor for Fungus and Litter Coleoptera. The Coleopterists Bulletin 41(1):9-12.
q WILSON C.J. & ANGUS R.B. (2005) A Chromosomal Analysis of 21 Species of Oniticellini and Onthophagini. Tijdschrift voor Entomologie,Vol. 148: 63-76.
q YUS RAMOS R., KINGSOLVER J.M. & ROMERO NAPOLES J. (2007) Sobre el estatus taxonomico actual de los bruquidos (Coleoptera: Bruchidae) en los Chrysomeloidea. Dugesiana 14(1):1-21.